“Guyton has always worked with what is right in front of him. Things from his own visual experience like graphic files, The New York Times and now his studio. These interiors are fragments that are part of a bigger picture about art making. They show aspects of how his work is made and handled, never revealing the entire process. Yet, the paintings do not combine to make a “full on” studio manifesto like Gustave Courbet’s The Artist’s Studio.” Clayton Press on Wade Guyton’s exhibition, June 5, 2018. The computer is our conveyance to a universe of images (old and new) and nearly every artist working today uses its programming in one form or another. We may make the work digitally through lens programs, or make the work by hand and upload images of it, or we may incorporate both of these processes to complete the work’s journey through our “studios” and out into the world. “… the early nineteen-nineties were a heyday of academic critical theory, when thinking skeptically about art could seem as good as, if not better than, making it. The artists who counted were image-recycling gravediggers of tradition, chiefly the Pictures Generation of Cindy Sherman, Sherrie Levine, and Richard Prince. A prevailing scorn for handcraft encouraged Guyton, who readily confesses his own manual ineptitude. But something dramatic happened in the circle of his artist friends at the university, which included two others who became successful, Kelley Walker and Meredyth Sparks: they decided that the grandparents were cool. It often happens that, in youth, we glamorize a past that our immediate elders tell us is over and done. So it was with Guyton and his peers.” Peter Schjeldahl on Wade Guyton, October 15, 2012. “As with Andy Warhol’s silk screens or Christopher Wool’s early stencils, his paintings make a virtue of suppressing the artist’s hand; where Warhol once said he wanted to paint “like a machine,” Mr. Guyton really does it. But just as Warhol never really gave up artistic control when embracing mechanical methods, Mr. Guyton, too, finds a voice in seeming automation. 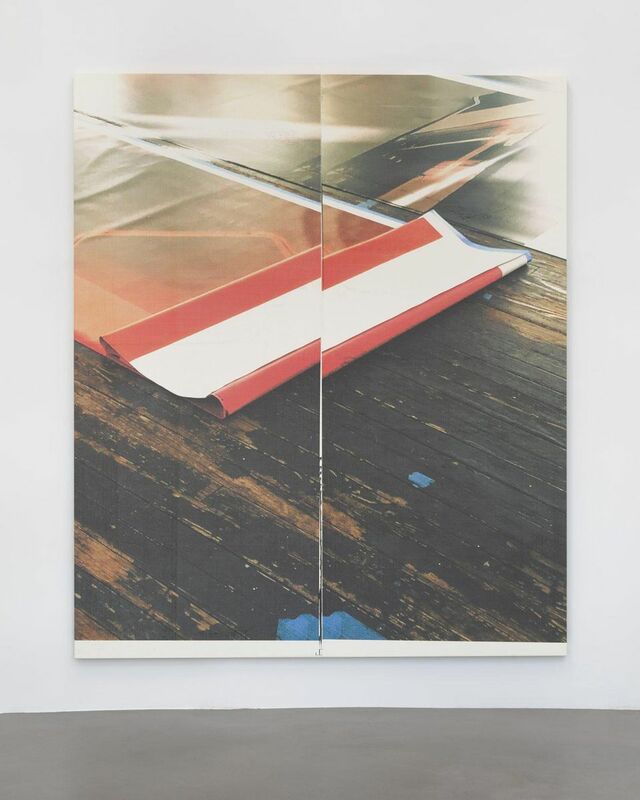 Even the simplest of digital gestures — once typing the letter X, now taking a millisecond’s screenshot — has some artistic motive, and the translation from JPEG to canvas introduces its own formal kinks.” Jason Farago on Wade Guyton’s show at Petzel, January 5, 2017.